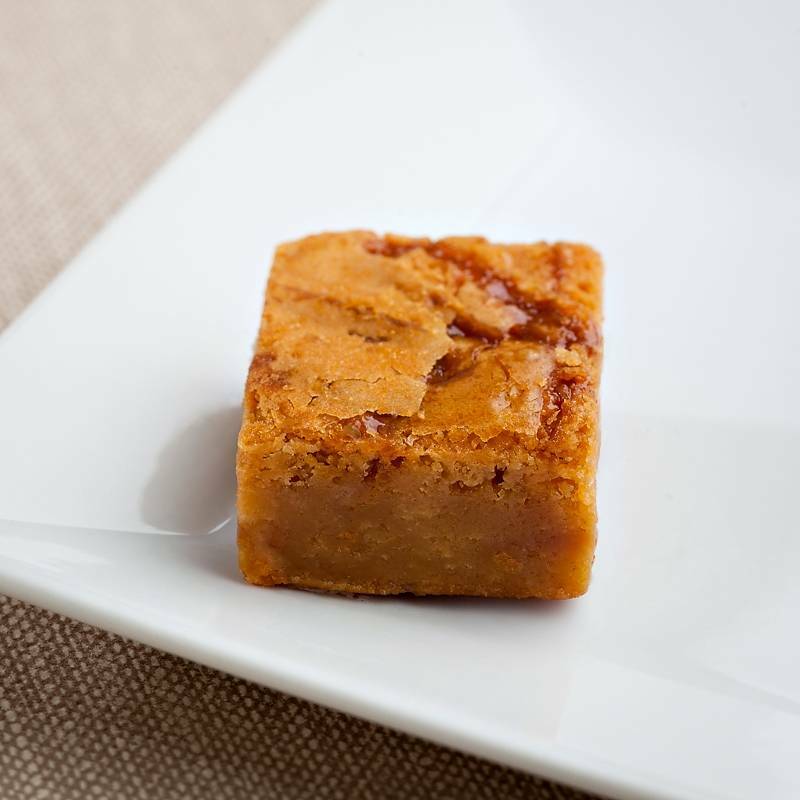 Butterscotch Sensations - A gourmet baby brownie bursting with flavor! A moist, deep butterscotch base drizzled with our creamy caramel and topped with butterscotch chunks. A true winner.